See local artist Catherine Ayers at work in the Amphitheater Hot Shop on March 7 from 10 am to noon, and 1 to 4 pm. Ayers is from Pine City, N.Y., and this demonstration is part of Local Artists Week. Catherine Ayers was first drawn to the magic of glass when she enrolled in an introductory glassblowing class at The Studio of The Corning Museum of Glass. Her whimsical and unique glass creations are inspired by her love of the ocean. 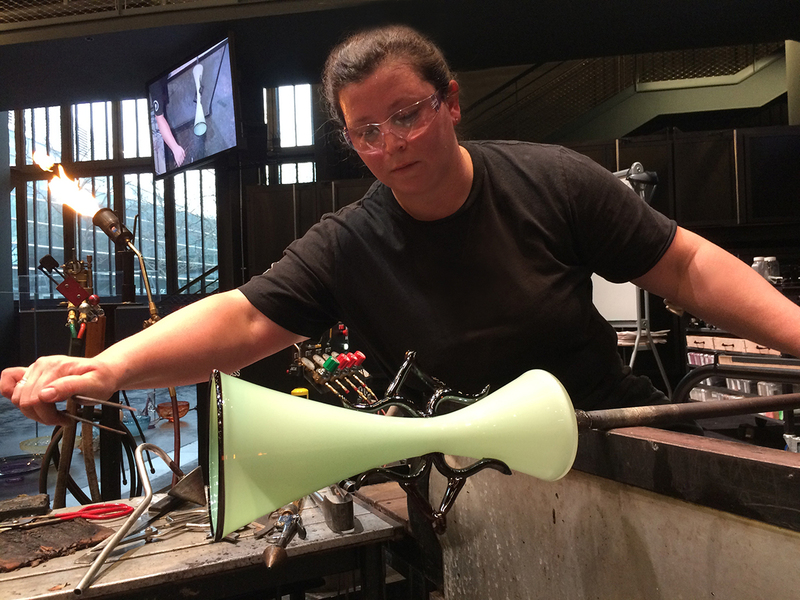 Catherine Ayers was first drawn to the magic of glass when she enrolled in an introductory glassblowing class at The Studio of The Corning Museum of Glass. She earned a BFA in glass at The Rochester Institute of Technology, working at The Studio during summer breaks.